Think of limpers as your most valuable customers. This article has been updated with more tactics and strategies to help you crush limpers, originally published on 10/26/2016 by Ryan Fee. Open-limping–just calling the price of the big blind as the first player in the pot–is basically never a good strategy. This is a topic we have discussed many, many times, but it’s worth revisiting. Open-limping is a weak and passive play that leaves you few ways win the pot. This is not to be confused with limping behind other limpers, which has its place, and can be profitable. All of the other players at the table fold. You take the pot down on the flop, turn or river by c-betting and/or barreling against 1–2 opponents. Your hand hits the board and you are able to win at showdown. Limping preflop makes it challenging to steal the pot on the flop, because there will likely be several other players in the pot. Limping also prevents you from representing a strong hand on certain board textures. You aren’t telling a very credible story about having a big hand on that A-J-T flop if you limped preflop, and then go H-A-M postflop. Your most likely avenue to win the pot when you limp is to hit your hand and win at showdown. Raising preflop also serves another purpose. It forces players behind to make a more difficult decision about their hand. Learn which hands to play in any situation (including vs limps) with the 259 preflop charts inside the Upswing Lab! This includes live-specific charts that show you exactly which hands to raise versus a limp! Lab members may also access the charts on the go or while playing live with the Upswing Poker mobile app (for iPhone and Android). There’s no master key answer for facing limpers. The optimal strategy depends on a number of variables, mostly the tendencies of the players at your table and your stack depth. That said, there are two ways to approach open limps. Playing tighter against limpers makes sense from a theoretical perspective. Sure, some players will limp random and trashy hands, like 9♣ 3♥, but nowadays players who do that are few and far between. So, not only do you have a third player to worry about (in addition to the small and big blind), but that player probably has a solid hand. The limper is a strong player who may have a somewhat balanced open-limp range (especially if they have a limp/3-bet range). The players behind have a high 3-bet frequency. You are playing with short effective stacks, limiting your skill and positional edge. But more often than not, the better approach is to . . . Loosen up when facing an open limper. Playing looser against limpers is often the best play from a practical perspective. This is because when a player does a lot of open-limping preflop, you can assume they are weak, passive, and worth targeting with aggression. A player who open-limps likely regularly makes mistakes. After all, they already made one when they limped preflop. The mistakes they make postflop will allow you to over-realize your equity when you isolate them. Limpers will rarely put you in difficult spots postflop, allowing you to easily win pots you aren’t supposed to win, so to speak. You want to look for opportunities to play pots with these passive players. Forcing a limper to call your raises preflop, out of position, and with their weak range, is one of the most profitable situations in poker. The open limper is unlikely to limp/3-bet. You are playing with deep effective stacks, which allows you to over-realize equity against a weak player. The players behind are tight, and thus unlikely to 3-bet. As far as sizing goes, find the perfect size to put the weakest hands in their range in the toughest possible spot. Of course, that’s pretty much what any bet in poker is all about. Don’t squander the opportunities against weak players who limp at your table. Continue to isolate them, and put them in tough spots until they give you a good reason to stop. Some players will allow you to pound on them limp after limp, never putting up any resistance. They might make a hand once in a while, but that shouldn’t faze you. You’ll already have stolen so many pots from them that you will be paying them with their own money–like Teddy KGB at the end of Rounders. Button vs Limper range recommended in the Upswing Lab. The looser/weaker the limper is, the more light blue hands you can profitably raise with. Get “Vs Limp” charts for all 8 positions when you join the Upswing Lab. These sizings have proven over time to be the best. They are big enough to discourage players behind from cold calling, given bad pot odds, but small enough for the limper to call happily. You should, however, be prepared to make adjustments that will maximize value against the weaker players. For example, if you are playing a live game and the limpers seem to snap-call your 5bb raise, you should try 6bb, then 7bb, etc., until those players start folding. At that point, you should revert to the previous size. This adjustment allows you to see the flop with the stronger range in the biggest pot possible. Not all limpers are alike. Some players limp with 40+% of the possible starting hands, and others like to limp with 20% of hands. It makes sense, then, that you should adjust to each individual player––obviously you can profitably raise with a much wider range against the looser limper than the tighter one. Remember that when you iso-raise a player, you typically don’t do so as a bluff, since most limpers are calling station-type players. This means you should isolate with a range that has 51% equity against their limp/call range. Thus when you are up against a tight limper, you will isolate with a much stronger (i.e., tighter) range than you might at first be inclined to use. Iso-raising with small pocket pairs is usually the right play, given the small investment made to potentially win an entire stack against a recreational player. Things change when you isolate a short stack player. Instead of playing a pot with a stack-to-pot ratio (SPR) of around 8–12, where you can basically win your preflop investment 15–30 times over, you will be involved in a pot with an SPR of 5 or less. This type of investment is very good if you hold hands that can make strong top pairs often. But is a very unlucrative spot with hands that need good implied odds, like small pocket pairs, which will very often become middle pairs at best on the flop. You can usually just limp behind with these small pocket pairs, but consider folding when there are many aggressive players behind. Although the first adjustment is correct, it is usually difficult to gauge exactly how wide your opponent’s 3-betting range is. Consequently, by 4-betting lighter you risk landing yourself in very difficult and often very -EV situations. For this reason alone I prefer the second option: tighten the iso-raising range. Not only will this allow for lower variance, but it might be more +EV than the first option, depending your opponents’ ability to re-adjust quickly. Also, you will not have to make tough decisions nearly as often, and your 3-betting opponent is likely to level himself into making very -EV plays. Playing out of position (OOP) is never easy. Even the GTO solutions are made up of very mixed frequencies, which are unattainable for mere humans. For this reason it is best to keep your range tighter when playing from OOP. There are a lot of hands with marginal EV that can only be realized when playing perfectly against your opponent. This is also true of iso-raising. You are usually up against a very unpredictable, calling station type of player. Bluffing is thus profitable less oftem, and so you will want to use hands that flop either strong draws or strong top pairs. Remember: When OOP, tight is right. If you’ve played live poker long enough, then I’m sure you’ve seen players who try to limp-3-bet while holding the Aces/Kings/Queens. This also happens online. When players limp, it’s usually either because they think their hand is not strong enough to raise, or they are trying to trap with a premium hand such as AQ+, JJ+. You will occasionally find a rando-bluff in there, but most of the time it’s a very strong hand, and you should adjust your play accordingly. The hands that play best against this type of range are strong suited broadway hands, AQ offsuit, and pocket pairs. Be careful, though, when the board comes Axx or Qxx, your opponent triple barrels, and you hold top pair––players don’t normally bluff enough in those spots. You do not need to balance your bet sizing on the flop against recreational players. These players usually have inelastic ranges, which means that bluffing for two-thirds pot usually make them fold just as much as a half pot c-bet. For this reason, you should use a smaller sizing with your bluffs. You can take the opposite approach–betting large–with strong hands. Since their range is often inelastic, you want to extract as much money with your strong hands as possible while you are still very likely to hold the best hand. Since recreational players who limp are also usually calling stations, they will be willing to pay a lot more than a solid player would to try to hit a draw. They lack the fundamental concept of pot odds and overvalue their implied odds, which makes them likely to call big bets with very weak hands hoping to catch a straight, a flush, a set, or some random two-pair. Going for much thinner value than you normally would is thus a very profitable adjustment to make on the flop and turn. As a stated previously, recreational players tend to have inelastic calling ranges on the flop. The same is true for the turn. The only difference is they tend to have many more folds on the flop than on the turn. Lean towards using just one of these barrels vs limpers. 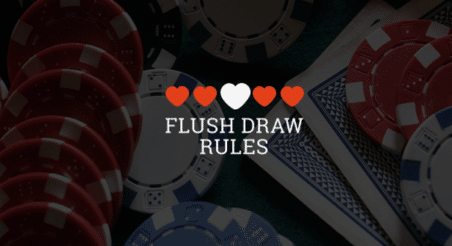 This happens because they go to the flop with a wide and weak range, which misses much of the time; while the range they will go to the turn with is a much more pair- or draw-based, and very infrequent includes air type hands. For this reason you should usually be wary of bluffing on the turn, and instead try a ‘one-and-done’ strategy on the flop. You should, however, make sure you capitalize on the fact that recreational players fold more than they should on scare cards. Players who limp preflop will tend to play passively in general, and they love calling with their draws. Even when the board is dry and disconnected, remember that these players play a lot more hands than you would––even random offsuit ones. This means they can have more random two pairs than you might expect. For this reason, you should play tighter than normal when they raise your c-bet. Knowing how to play against limpers, which are usually weak recreational players, is one of the most important skills to develop. Many professionals have amassed fortunes by focusing on just this aspect of their game. Take these tips to heart and I’m sure you’ll crush the weak recreational players. Poker hobbyist Shaun Densmore turned a $7.50 buy-in into $94,901 after studying in the Lab. What will you accomplish? ← Check-Raise Strategy Quiz — Are Your Check-Raising Skills Razor Sharp?